More hot weather this week. This is bound to affect the produce we are receiving – extreme weather can affect crops in a matter of hours. 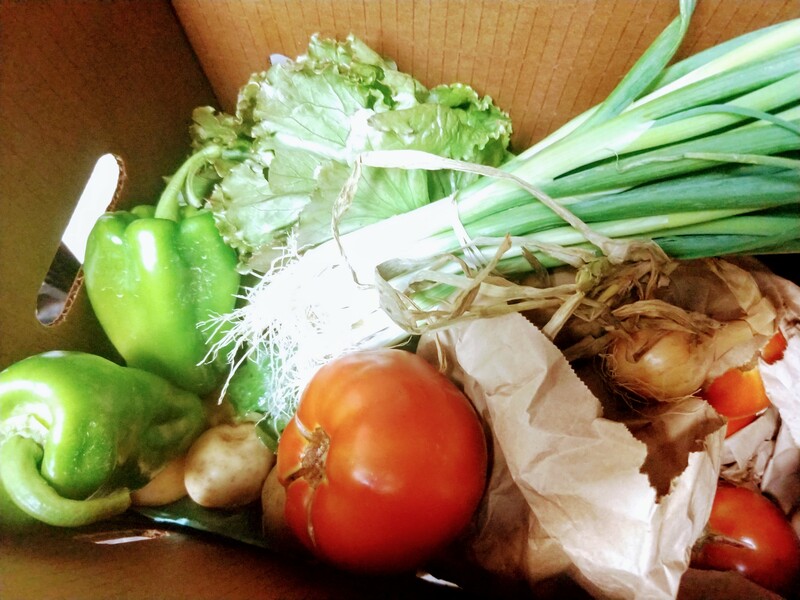 This week’s pickup – Free Compost Giveback Event! The Department of Sanitation will host a free compost giveback event in front of Flushing Town Hall on Thursday Sept 6, from 3-8 pm. At this event, they will distribute information and free 1-pound sample bags of compost made from the new organics recycling initiative (with the brown bins). Thank you to last week’s volunteers and intern Javier! Parsley – Adds bright flavor to salads, soups and more! Red Beets OR Eggplant -You’ll receive one OR the other this week as we work our way through harvesting the field. Storage: In airtight storage in the refrigerator. Uses: Raw/Cooked When to use: Within 5 days. Red Batavian Lettuce – Crunchy and flavorful for summertime salads. Previous Flushing CSA (Week 14) Update! Next Flushing CSA (Week 18) Update!